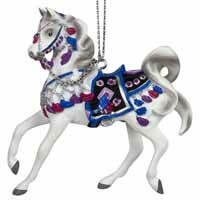 Arabian Splendor | Painted Ponies Everyday Figurines | One Price Low Flat Shipping! 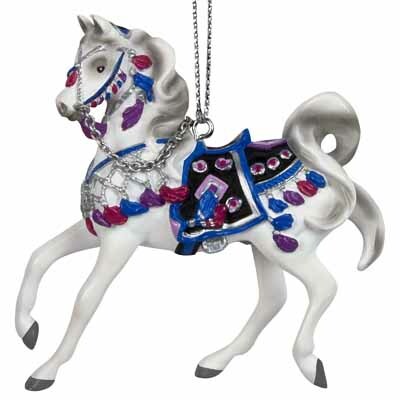 From the Trail of Painted Ponies Winter 2017 Collection, Abrabian Splendor Collector's Choice Hanging Ornament. Made of stone resin. Measures 2.75" tall. Designed by acclaimed equine artist, Kathleen Moody. This magnificent horse sculpture miniaturization of the full size best seller figurine by the same namesake, boasts incredible detail and makes for great gift-giving or special party favors! Comes packaged with hanging cord attached in collectible gift box.